Here is a list of 11 best free Notepad++ plugins that tremendously enhance the features of Notepad++. Notepad++ is very popular and useful text editor (we reviewed it here). Its provide many features which make it popular and useful. One of such features is Plugins. Plugins further add useful features to Notepad++. There are many useful Notepad++ plugins available out there, that you can easily install in Notepad++. In this list I talk about 11 of such useful plugins. These cover all aspects of Notepad++. Some let you add features like auto complete and spell check, while others are great for programmers and provide features like Auto Save, file compare, real time collaboration, etc. If you use Notepad++, then you will definitely find some plugin in this list that you will love. And if you don’t use Notepad++, this is the time to make that switch. Before using these plugins, you need to install these to your Notepad++. And the process can’t be simpler. Let’s quickly go over the process. All the below listed plugins can be downloaded and installed from within Notepad++. You can install one plugin at a time, or you can even install all the plugins in one go. All you need to do is open Notepad++, go to Notepad++ Menu bar -> Plugins ->Plugin Manager -> Show Plugin Manager. In the “Available” section of Plugin Manager, select the plugins that you want to install, and then click on the Install button. This will install all the plugins to Notepad++. In case you come across some plugin that is not already included in Plugin Manager, then you just need to get DLL file of that plugin and copy that file to “Plugins” folder of Notepad++. Now let’s start going through these fantastic plugins for Notepad++. Note: All the plugins included in this list are available from within Notepad++. However, their DLL files are also available externally, and I have provided links for those too. But in a normal scenario, you won’t need to download those files and can just install the plugin from within Notepad++. This plugin adds real time collaboration feature to Notepad++. If you and your friend or colleague want to work on the same Notepad++ document at the same time, then you can do that using this plugin. Once you install this plugin, you and your colleague can share the same document in Notepad++ and changes made by one will be visible to other in real-time. Additionally, it also provides a chat feature so that you can chat with your buddy while collaborating on the document. This plugin shows the text entered by both in different colors, so that it is easy to know who entered what. Pretty awesome plugin, if you ask me. It is a lot of fun collaborating on the same document while working on different PCs using this plugin. You can read its full review here. You can download it externally from here. Also see: Drawpile, free drawing collaboration software. 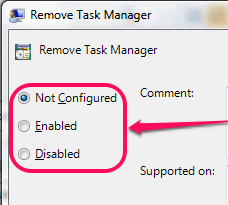 These two plugins add Auto save feature to Notepad++. So, if you are working on an important document and don’t want to loose that in case of a crash, these plugins would come pretty handy. Now, there is a bit of difference between how these Auto save plugins for Notepad++ work. Auto Save: This plugin automatically saves the file whenever Notepad++ looses focus. You can also set a scheduled time to automatically save the file. While saving, it replaces the original file, so you will always have only the latest version. Autosave2: In case of this plugin, you specify the auto save interval. Then this plugin will auto save the file at those intervals. While saving the file, it actually creates a new version of it and adds date / time to file name. So, it provides a rudimentary versioning as well. You can read full review of both these plugins here. 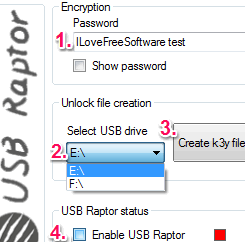 You can download these externally from here: Auto Save and Autosave2. Emmet is a plugin for Notepad++ that greatly reduces the coding time. It comes with a feature of abbreviation expansion, that lets you speed up coding by almost 3 times. Apart from abbreviation expansion, it also provides standard code snippets (like, code for loops), that you can modify by just adding values. It also has other features like tag matching, etc. It is also available for other popular IDE, like, Eclipse and many more. This Notepad++ adds a much needed file comparison feature to Notepad++. It lets you compare one file with another file, and shows the results in a nice navigation bar on the side. You can choose to see only that text which is different, or see all the text. This code comparison plugin for Notepad++ definitely makes the process of file comparison pretty simple. This plugin adds a File Explorer to Notepad++. Although you can open files in Notepad++ directly from Windows Explorer, but in case you are working on many files at a time, then you can add this plugin to get a File Explorer directly in Notepad++. The most important feature of this plugin is that it provides a “Favorites Explorer”. Essentially, you can mark your files and folders as favorites and browse them directly from within Notepad++. Quite a useful feature. Another File Explorer plugin for Notepad++ we covered earlier is Light Exploer. However, that one is not as feature rich as this one. Clipboard Helper adds a clipboard management feature directly to Notepad++. It adds a small sidebar in which you can store multiple texts that you copy and then add them back to file easily. It also lets you edit copied text. The interface of this Clipboard plugin for Notepad++ is quite simple. You can copy text in it from any file and then paste it back in any other file in Notepad++. See full review here. You can download it externally from here. This plugin adds Spell Check feature to Notepad++. This plugin uses another free software called Aspell (the plugin will guide you for installation of that). The best part of this plugin is that it lets you check for spellings in multiple languages. Just install the relevant language pack and then check spellings using that. This Spelling check plugin will show you spelling mistakes in the entire document, and will provide spelling suggestions for them. This plugin adds an encryption and decryption feature to Notepad++. You can use this to encrypt entire document, or just the selected text. It will show you the encrypted string, which you can again decrypt using this plugin by providing the correct password. Falling Bricks: Play Tetris in Notepad++! This plugin adds Text to Speech feature to Notepad++. Using this plugin, you can make Notepad++ speak out the entire document, or just the selected text. Its a pretty basic plugin, though, and does not come with a feature to change voice, etc. However, if you are looking for a basic Text to Speech functionality, then this plugin definitely fits the bill. For more advanced options, you can try these free text to speech software. Once you have added so many plugins to Notepad++, its menu will definitely become messy. So, how about a plugin that lets you customize the toolbar of Notepad++. This plugins shows you all the available buttons and you can choose which ones you want to add in toolbar and which ones to remove. You can also adjust position of toolbar buttons with this. Also see these 5 free software to replace Windows Notepad. I just love Notepad++. This is a very lightweight, and yet feature rich text editor and I use it every single day. These plugins further enhance the functionality of Notepad++. Try these out and let me know which ones are your favorite. Is there any other Notepad++ plugin that you use, which I didn’t include in this list? Let me know in comments below.